Lego is gearing up to release their first Ghostbusters themed set. After the Lego CUUSOO Back to the Future project was accepted and announced the idea of a Ghostbusters themed set gained popularity. The creator of Lego Ghostbusters (21108) is BrentWaller, who has recently proposed a new Ghostbusters set. 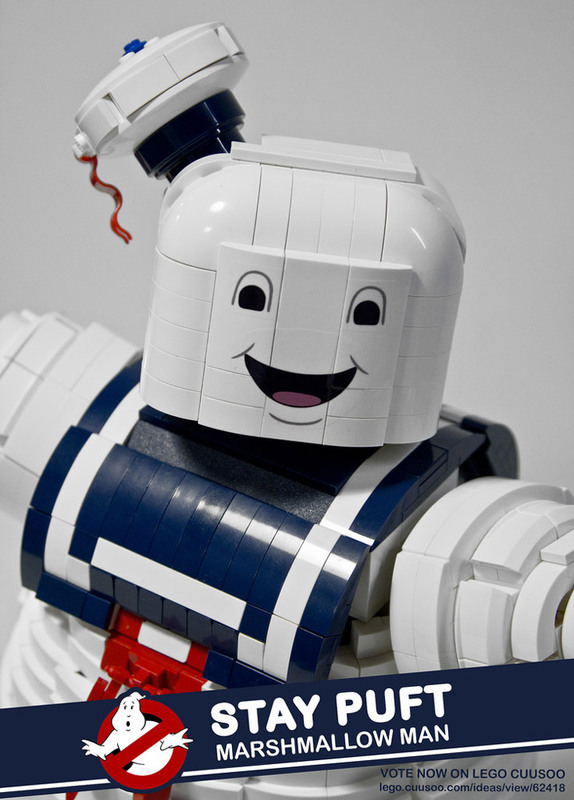 The Stay Puft Marshmallow Man. This guy is huge, and when it is taking over your Lego Modular City, who are you going to call? This giant gooey monster is not alone, he is being proposed with three accompanying Minifigures. Everybody’s favorite bad guy, Walter Peck. 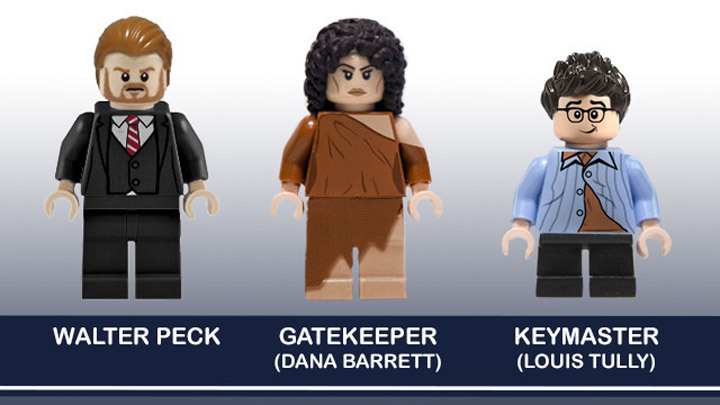 Dana Barrett as the Gatekeeper. And, Louis Tully as the Keymaster. These three are ready to foil whatever plans the Ghostbusters have ready. 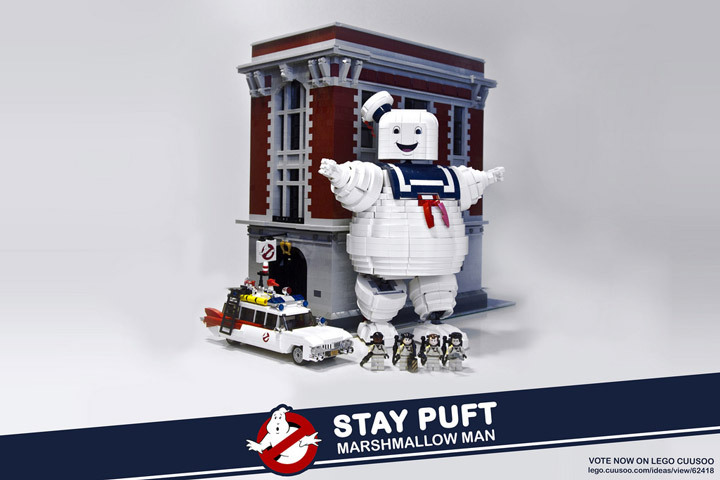 If I was to use a similar ratio of a human compared to the Stay Puft as there is in the movie, That Marshmallow Man would be 68cm or 27 inches tall, which makes this version exactly half scale compared to a minifig.